Even though women face higher than normal unemployment rates, Reid explained, “women aren’t abusive, most of the time. Men, when they’re out of work, tend to become abusive.” To be clear, Reid’s generalization involves three claims, two explicit and one implicit: 1) unemployed women do not tend to abuse their men, 2) unemployed men do tend to abuse their women, and 3) employed women do not tend to abuse their unemployed men. The first claim is on shaky ground. While I am unaware of any major studies that have dealt directly with increased levels of violence in unemployed women, this claim has been made (e.g. Ness, 2004). However, another study suggests that age is only variable for change in women’s violence patterns (Anderson, 2002). The second claim should be granted, since it has been established in various studies over the years (e.g. Straus and Gelles, 1990). Unemployed men, especially in highly patriarchal relationships, are more prone to turn to alcohol and violence to compensate for their economic shortcomings (Melzer, 2002; Macmillan and Gartner, 1999). The third claim is unsubstantiated. Studies have consistently found that women abuse men physically with equal if not greater frequency (e.g. Straus and Kantor, 1994; Cook, 1997; Anderson, 2002). While men generally have greater physical strength and are therefore more imposing, women are increasingly more likely to use “severe force” through weapons (Kelly, 2003). On a commonsense level, women hit if they feel justified in hitting, a feeling they are more likely to have if they conclude that a man is not “living up to his side of the bargain” financially. Moreover, since most domestic violence is mutual (Anderson, 2002), physical violence perpetrated by unemployed men will usually be reciprocated by the wife or girlfriend, regardless of her employment situation. But I’m curious – does anyone out there know of a study that has been done on this matter? In any case, Reid’s comments are an unfortunately propagation of stereotypes about intimate violence. Such assertions are better left to daytime talk shows. So true. Tiger will no longer have the luxury of getting to carve his own path through the athletic world any more. He’ll need to slip into one of the more tried and true paths for male celebrity athletes. Let me start with three more conventional types. Mr. Ferocious. Tiger has never had a golden relationship with the media, and getting thrown under the bus by them since November hasn’t helped. He could try to conjure up all that competitive rage and market it, much like he did on the recent cover of Vanity Fair. Woods knows how to throw himself into golf. He knows how to issue the icy glare. Now simply make an industry out of it, like Barry Bonds or Ty Cobb. A lot of us have hated to love Tiger; now make us love to hate you. Mr. Damaged. Woods spent a total of 45 days in rehab for undisclosed issues, though those certainly include sexual addiction. Enough celebrities have gone through that process to add him to the long line of the self-abused. He could come out from this as someone who, always a little red-eyed, has that look of “I know what hell is like, man, I’ve been there.” John Mayer has taken this tormented path, however unconvincingly. But Woods actually has reason to bemoan his own estate. Most of his big contracts are history. Elin appears ready to ditch him. He has mortified his own flesh since this incident, and has even thrown in a little bit of martyr (“I just want to keep my private life private”) and family coverer (“[Elin] never hit me that night or any other night”). Playing the sufferer won’t get him back the big contracts, but it seems to play out of Wood’s strengths. Mr. Upstanding. I’m not talking about an untouchable image – that was the very thing that got him into trouble in the first place. I’m talking about becoming the warm and amiable figures so abundant on the PGA tour in the first place. Become a gentleman. A back-slapping country club member. The neighbor who lends you his mower. This has been the bread and butter mold for everyone from Brett Favre to Jack Nicklaus. People like to be around you. Unfortunately, Tiger has been a recluse for so long, relatively uninterested in others. Mr. Religious. This one can be tricky, as most religious figures tend to be the A.C. Greens and the Tim Tebows of the sporting world, those who haven’t fallen from grace. But Tiger might have enough notoriety to become the exception, to become the redeemed sinner – Buddhist style. In a daring move, Woods told the press, “Part of following this path for me is Buddhism, which my mother taught me at a young age. People probably don’t realize it, but I was raised a Buddhist, and I actively practiced my faith from childhood until I drifted away from it in recent years. Buddhism teaches that a craving for things outside ourselves causes an unhappy and pointless search for security. It teaches me to stop following every impulse and to learn restraint. Obviously, I lost track of what I was taught.” Spirituality would restore some countering “balance” to his professional life, claimed Woods. We do not yet have any outspoken, restored Buddhists on the golf course. Yet. Take your pick, Tiger, and step up to the tee. 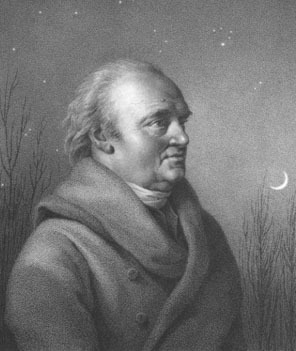 Richard Holmes, in his fine book about the years following the British Enlightenment, Age of Wonder, describes a series of correspondence between the renowned astronomer William Herschel and his son, John (pp.387-390). Even beneath his father’s enormous shadow, John had done pretty well for himself, becoming a Fellow at Cambridge University and achieving some advances in calculus that appeared to be supplanting Newtonian theory of fluxions. He wrote to his famous father in 1813, explaining that, out of a sense of obligation to acquire an independent livelihood, he would pursue either research in pure mathematics at Cambridge, or become a lawyer in London. William Herschel took this news poorly, writing back that it would be “crooked, tortuous and precarious” to forsake the “superior” studies afforded John over his life. Clearly these sciences were not nearly adventurous or practical enough in the mind of William. A bewildered John responded that he hardly believed any Anglican doctrine, but an inveterate William kept pushing. Without concern for his son’s religious integrity, he again wrote, saying, “The most conscientious clergyman may preach a sermon full of sound morality, and no one will enquire into theological studies.” Unsurprisingly, John was horrified at this. Was his father discouraging him from self-reliance in an occupation and encouraging him to live hypocritically? What manner of manhood was this? Only after the threat of a total breach of relationship did William desist. John did practice law in London after all, followed by a full Fellowship back in Cambridge. But William would have the final victory, as John came back to the astronomical life in 1816, minding his father’s telescope. It hardly seems believable that a father would talk his son out of a life of industry and integrity, which were in other circles (and to this day are) marks of manhood. For the new nobility of 19th century Great Britain, however, industry and integrity were hardly virtues. They were the explorers, the speculators, the scientists and professors. Such men were above mere labor or repose, religion or morality. They were reaching for the stars – and no self-respecting father of this caliber would have it otherwise for his son. Under Alaska’s public records law, 1,200 emails exchanged between Gov. Sarah Palin and her husband, Todd Palin, were disclosed to MSNBC. Various shady dealings aside, investigative journalist Bill Dedman says the emails “provide a glimpse of the ways the Palins divvied up their responsibilities when she became governor in December 2006.” According to the report, “first dude” Mr. Palin assisted in decisions regarding appointments, contract negotiations, and a whole host of sensitive matters passing through his wife’s office. You are currently browsing the Men on the Moon blog archives for February, 2010.